Most people have a dream destination that they have been looking forward to visiting for years. It’s time to book that dream vacation to the beach and head to Fort Lauderdale, and The Link Hotel is here to help make it happen on any budget! Discover all of the best things to do in Fort Lauderdale with these tips and tricks to get the most out of your getaway without breaking the bank! Though winter months are often the most popular time to take a trip to the Fort Lauderdale area, it’s not necessarily the best for traveling on a budget. When you stay with The Link hotel during between April and November, you can skip the crowds and find more deals with local businesses and attractions. 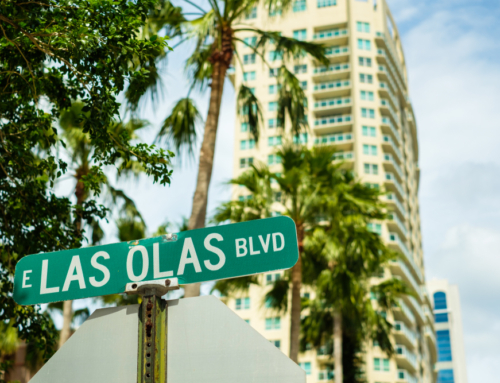 Beaches like Las Olas Beach and Fort Lauderdale Beach are some of the best places to frequent as they are free and always a relaxing way to spend the day, and during the warmer months, there are fewer people and more space to enjoy your time without disruption. Riverwalk Activities is also a great way to browse the different things to do in Fort Lauderdale and compare so that you can find the most fun for your money! When it comes to planning a vacation on a budget, there are a few things that you can do to save a few dollars so that you can have more money for fun. Shopping around for flights can make a huge difference as well as finding car rentals. Never stop at the first plane ticket you see, there are a ton of helpful booking sites that can combine your plane and car rentals for less money and also offer financing options. Another large part of saving on any vacation is the way you eat during your stay. Shop for snacks and fresh foods at local farmers markets and stores. Eating out every time your tummy rumbles can add up in a hurry. By buying local, you can save money and discover the local tastes for delicious meals that will leave your wallet and taste buds happy! Every getaway requires a comfortable place to stay, and when you stay with us at The Link Hotel, you can find fantastic, affordable lodging. We have refrigerators in each of our rooms for those fresh finds from the markets, a free breakfast every morning, a fitness center, and other amenities so you can experience the comforts of home while you are here. The Link Hotel is also conveniently located near a wide variety of things to do and see, as well as free parking, so you don’t need to have an extensive budget for transportation. When you are traveling on a budget, discover all of the best things to do in Fort Lauderdale and experience that well-deserved getaway that you have always dreamed of with The Link Hotel!